Market Street runs through the heart of our beautiful city, yet sometimes it can feel uninviting and disconnected. An open call for creative ways to improve Market Street yielded hundreds of submissions from citizens and organizations. Fifty of these submissions were chosen to create rough models, or “prototypes”, that demonstrate how their idea would work. 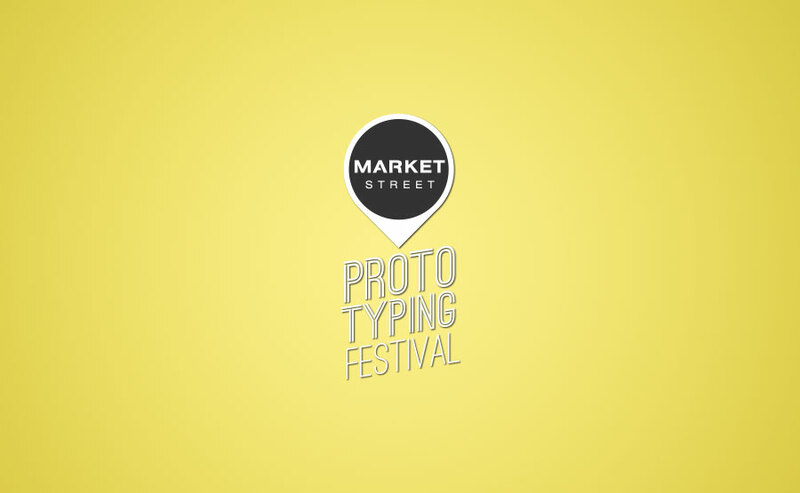 From April 9th – 11th, Market Street will come alive with these ideas. Its wide sidewalks will be filled with temporary installations ranging from performance spaces, relaxation zones, dynamic art pieces, and more. Yerba Buena Center for the Arts, the San Francisco Planning Department, and the James L. Knight Foundation believe that Market Street should bring together people from different neighborhoods and backgrounds. We joined forces with these organizations to help the prototype creators understand the needs and priorities of the Central Market and Civic Center community and making Market Street a more engaging and vibrant destination. Come and walk the festival route, check out the installations, and tell us what you think. A selection of these designs will then move from prototype to reality, as part of our city’s Better Market Street initiative.